At dsdteens, we aim to present good information based on evidence and science, sound advice, and lots of personal stories. And we want to make dsd conditions easy to understand and more easy to talk about. If you have any questions, thoughts, or comments, we would love to hear them! This site is constantly changing with feedback from young people, doctors and researchers, and adults. Miriam, Nina, Ellie and Emily have worked on this site for the past 2 years and have talked about it with young people, parents, expert doctors, and researchers around the world to get feedback on both the medical and day-to-day information on life and care. Whilst dsdteens aims to support young people in the first instance, we hope the website will make it easier for parents and doctors to understand what is important for young people living with these conditions and how best to support them. 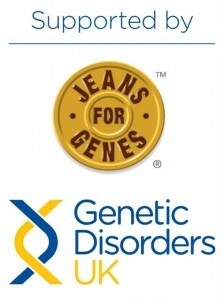 This site has been developed with the support from Jeans for Genes and the Society for Endocrinology (UK).